Where's the beef in China? A tainted meat scandal that originated in China is now starting to stink up McDonald's sales. The fast food chain's Japanese unit said Tuesday that it will fall short of profit and sales targets for the year, after a longtime meat supplier was shut down last week by authorities for unsanitary practices. As meat from the supplier has been pulled out of circulation, McDonald's outlets in China, Hong Kong and Japan have stopped selling items such as Big Macs and Chicken McNuggets. The scandal has led to "negative impact on sales and consumer confidence," the company's Japanese unit said in a statement. "Our sales and profit expectations have been reduced." 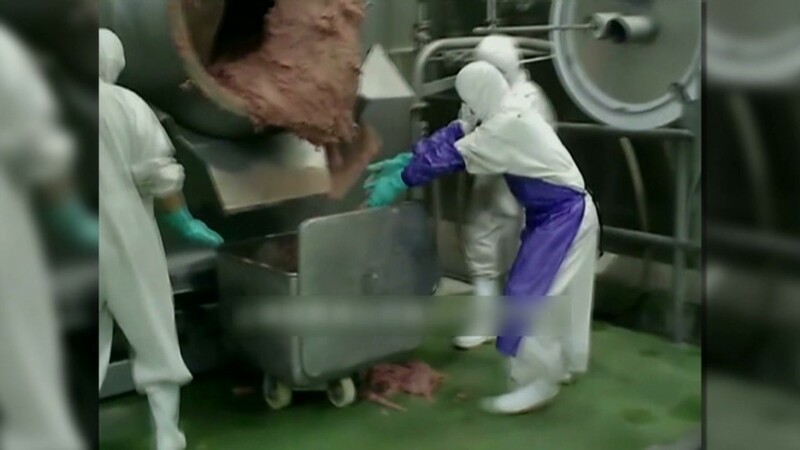 The meat scandal began when Chinese television showed workers at a Shanghai food plant handling expired and tainted meat with their bare hands. Workers at the Chinese subsidiary of Illinois-based OSI Group said that the meat smelled bad, and they could be seen processing meat that had fallen on the floor. McDonald's (MCD) Japan had previously forecast sales of 250 billion yen ($2.5 billion) and net income of 6 billion yen ($59 million) for the year. The company said it isn't able to provide new targets as the scandal's full impact is still unfolding. McDonald's shares traded in Japan fell 2.8% Wednesday morning , and have shed nearly 4% since the food safety issue began unfolding last week. McDonald's has had a "challenging" year thus far in Japan, even before news hit over the bad meat scandal. The Japanese unit saw net income tumble 60% to 1.9 billion yen ($19 million) in the first half of this year compared to the same period last year. Sales at its directly owned stores and franchises dropped 4% after planned store closures. Oher food chains have been caught up in the scandal, including Yum Brands (YUM), which operates KFC and Pizza Hut in China, Burger King (BKW), Papa John's (PZZA) and Starbucks (SBUX). Many companies have cut their ties with the supplier, but McDonald's has largely stood by OSI Group.